Pokémon Go, an augmented reality game by Google spin-off company Niantic, has been one of the surprise video game hits of the year, having been downloaded millions of times already and even leading to a dramatic increase in Nintendo’s stock market value, before the public realized the Japanese company wasn’t directly involved in the game’s development, and wouldn’t profit as much from it as many thought. 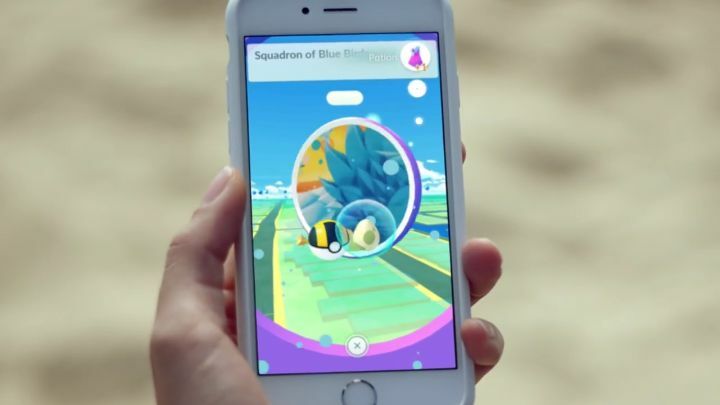 But the truth is that Pokémon Go has captured the hearts and minds of the gaming public as few games ever have, with millions of players wandering the streets of their cities worldwide on the hunt for the cute creatures known as Pokémon, even if it can be argued that the game does have its dark side. What can’t be denied though, is that Pokémon Go has become a gold mine for developer Niantic. As reported on gamespot.com, intelligence firm Sensor Tower has revealed in a new report that the augmented reality mobile game has made a whopping $440 million US dollars in revenue already. And given that Sensor Tower estimates that the game is bringing in more than $4 million per day, it won’t be long before Niantic’s game crosses the $500 million mark, making it one of the biggest video game success stories in recent memory, and likely to end up making as much as top-selling video games like Call of Duty and Rockstar’s GTA. Intelligence firm Sensor Tower also published a chart showing how Pokémon Go has out grossed some of the top movies of the summer, including director Duncan Jones’ Warcraft movie, which is currently the highest-grossing video game movie of all time, as well as other summer hits like Independence Day 2, Angry Birds and the latest Star Trek movie. So given what a success Pokémon Go has become in little more than two months, will Niantic’s game go on to become the most successful smartphone video game of all time, topping other hits like Clash of Clans and Game of War: Fire Age? This remains to be seen, but for now Niantic, The Pokémon Company and other parties involved in the game can rest in the knowledge that they have a winner in their hands.